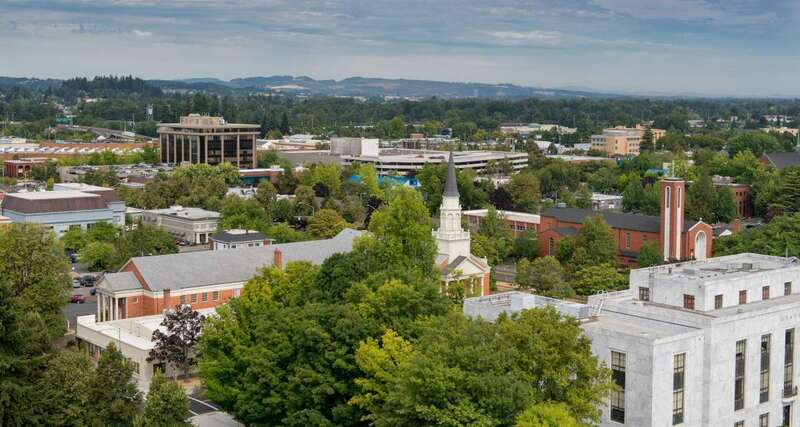 A record-breaking 68 players competed in the 2019 Oregon State Doubles Championships at Salem’s Lancaster Courthouse Athletic Club, as the top open, skill level, masters, and junior players vied for OR championship gold. Dalton Beall and Cody Townsend repeated as OR State Champions, needing a tiebreaker to overcome Conor Casey and Josh Bateman in a very entertaining match. Jeff Kastner returned to tournament play after a long hiatus and showed he hasn’t lost much, as he teamed with his wife Jean to prevail in the Mixed Doubles. Coach Steinberg gave his usual sparkling performance on the court and brought 16 students from the Pacific University team to compete in the tournament. We also had a University of Oregon student and a Chemeketa Community College student participating in the tournament for a total of 18 students…..they really light up the tournament with their competitive spirit, enthusiasm, and camaraderie. The Alten Handball Foundation continues to support Oregon handball by subsidizing entry fees for all of the students. · Nick Flores for assisting me with a few R2 sports glitches and with tournament seeding.